So hot in the city.You really don't know what to wear.Something ethereal is a damn good idea.I dressed up like this,simple but still!And it's just the beginning of Summer! 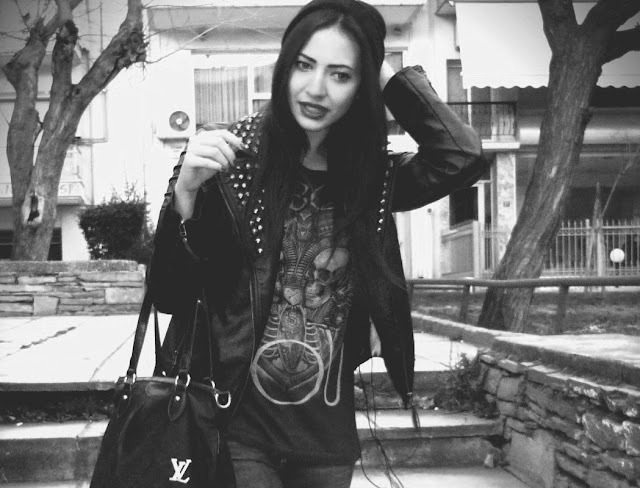 tags, brunnete , girl , high waist , look , me , moi , outfit , outfits , simple , street style , today στις 11:23 μ.μ. tags, ankle boots , aristotelous , bershka , boyfriend jeans , Chanel , chic , fashion , look , outfit , outfits , street , style , stylish , sunny , tee , urban , urban chic στις 7:56 μ.μ. tags, all star , beanie , bershka , bsb , combination , converse , cross ring , girl , look , louis vuitton , outfit , outfits , pull and bear , rock , rockish , rockish outfit , sculp beanies , street , street style , today στις 11:03 μ.μ. tags, hair , look , outfit video , outfits , stradivarius , turtle neck , videoblog , wind , windy στις 1:30 π.μ. Τι φορεσα με τη σειρα απο την κορυφη ως τα νυχια. tags, baggy jeans , combination , earings , jewellery , look , outfit , rockish , style στις 3:14 π.μ. tags, look , outfits , shorts , streetstyle , sweater στις 1:24 π.μ. tags, brogues , friday , look , outfits , replay , today i wear στις 6:16 μ.μ.